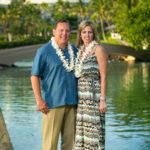 Wedding photos from Kukio Beach on the Big Island of Hawaii. 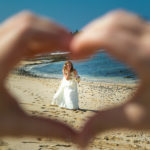 This couple were married on a point overlooking the beach and the ocean below. The couple had two turtles join their wedding for photos afterwards. 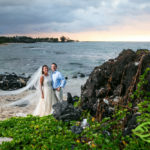 Despite dark clouds in the background they had great photos and a great sunset.